REPORTERS/ JOURNALISTS: If you want to get ahold of me quickly my cell is (561)222-69 seven nine. Call and leave a message. If I don’t pick up. Text me. Additionally, send me an email using the form below using the subject “REPORTER” and I will attempt to get back to you quickly. I know you guys have short deadlines. Quoted, Drone Scare Near New York City Shows Hazard Posed to Air Travel, New York Times, (Jan 23, 2019). Quoted, GSA adds drone countermeasures to security schedule, FCW.com (Aug. 22, 2018). Speaker, Remote Pilots Council Summit, Association for Unmanned Vehicle Systems International Conference (May 2, 2018). Moderator, Discussion on the Legal Forecast for the Drone Industry, Association for Unmanned Vehicle Systems International Conference (April 30, 2018). Cited, Exploring Commercial Counter-UAS Operations: A Case Study of the 2017 Dominican Republic Festival Presidente; International Journal of Aviation, Aeronautics, and Aerospace (April, 13, 2018). Cited, What Is the Eye in the Sky Actually Looking at and Who Is Controlling It: An International Comparative Analysis on How to Fill the Cybersecurity and Privacy Gaps to Strengthen Existing U.S. Drone Laws, Federal Communications Law Journal (April 1, 2018). Cited, New Jersey mulls law against operating drone while drunk, CNET (Jan. 7, 2018). Quoted, Don’t drink and drone: New Jersey considering new law, Seattle Times (Dec. 5, 2017). Quoted, Operating a drone while drunk could become a crime in N.J., CBS News (Dec. 5, 2017). Quoted, Drone industry prepares to ‘dazzle’ Trump administration through new pilot program, Washington Examiner (Nov 28, 2017). Quoted, Will big companies like Verizon control our skies? Drone startups say FAA is starting to let it happen, Marketwatch (Nov 2, 2017). Cited, TRANSPORTATION AND LOGISTICS BRIEFING: Lyft raises $1 billion, led by Alphabet — IDG Capital and Foxconn to invest in auto startups — FAA opening up airspace for commercial drones, Business Insider (Oct. 20, 2017). Interviewed, 5 Ways The Taylor Drone Registration Case Impacts Drone-Based Businesses, Forbes (Aug. 22, 2017). Cited, The FAA’s Failed Drone Registration Earned the Government Nearly $3 Million, Popular Mechanics (July 12, 2017). Quoted, ‘Swarm drones’ could replace fireworks and more, but fear keeps most grounded, Marketwatch (July 4, 2017). Quoted, Ask The Thought Leaders: What’s The Future Of Drone Delivery?, Huffington Post (July 1, 2017). Quoted, 3 Things Drone Pilots Need to Know ASAP, Inc. Magazine (June 12, 2017). Quoted, Trump proposal would allow the government to track, hack and destroy drones, Marketwatch (May 25, 2017). Cited, No More Drone Registration for Hobbyists, Tested (May 23, 2017). Quoted, Court Strikes Down Drone Registration Requirement, Air & Space by Smithsonian (May 22, 2017). Quoted, Federal Court of Appeals rules model aircraft are now exempt from required registration, Drone 360 Magazine (May 19, 2017). Quoted, Drone Law Practices Taking Off — Again, Law.com (May 9, 2017). Cited, Regulatory overkill: How regulations can stymie innovation, The Hill (March 19,2017). Cited, Climate Drones: A New Tool for Oil and Gas Air Emission Monitoring, Environmental Law Institute (December, 2016). Cited, How to Get a Commercial Drone License ASAP, New Egg Business Blog (Sept. 20, 2016). Quoted, In the skies, under the radar, London School of Economics and Political Science (Aug. 5, 2016). Interview, Expert Interview Series: Jonathan Rupprecht of JRupprechtLaw.com About Drone Law, Poms and Associates (Aug. 6, 2016). Speaker, Drone Law for Sports Video, Sports Video Conference (July 26, 2016). Quoted, Amazon’s Dream Of Drone Package Delivery Can Be Real In ‘Less Than Five Years’, Newsweek (June 29, 2016). Commentator, Why Saying ‘No’ Must Become A UAV Best Practice, Drone Business Center (June 29, 2016). Mentioned, Over 450,000 Hobby Flyers Have Registered. So Why Does Fighting FAA’s Drone Registry Still Matter?, Forbes (June 15, 2016). Quoted, He Flew a Drone to Take Photos for a Friend. Now He’s Facing $55K in Government Fines, The Daily Signal (June 12,2016). Cited, How to Fly a Drone Without Being a Jerk, Slate (May 24, 2016). Speaker, Precision Agriculture, Aerial Mapping and the FAA 333 Exemption, AUVSI 2016 (May 4, 2016). Speaker, The Drone Dealer Conference (April 11-13, 2016). Guest, YOUR DRONE REGULATION AND FAA QUESTIONS ANSWERED, Commercial UAV Expo (April 6, 2016). Mention, RC Flying and the Law in 2016, Tested (April 4, 2016). Quoted, How The Government’s Drone Registry May Have Broken The Law, Newsweek (Feb. 2, 2016). Commentator, Advances in Robotics Pose Legal, Ethical Questions, Daily Business Review (Dec. 2, 2015). Guest, Drone Law from the Pilot’s Perspective, Drone Law Today (Nov. 23, 2015). Guest, Regulating Hobbyist Drones, NPR (Nov. 10, 2015). Podcast guest, Robotic Trends, Doubt Surrounds Drone Registration (Oct. 20, 2015). Cited, Drone registration rule gets underway, POLITICO (Oct. 20, 2015). Commentator, MarketWatch, Drones will have to be registered, but there are still more questions than answers (Oct. 19, 2015). 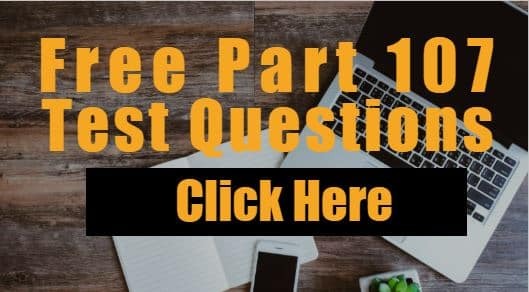 Podcast Guest, Ask Drone U, What’s your objective opinion about the Department of Transportation’s drone registration plan? (Oct. 19, 2015). Panelist, American Society for Photogrammetry and Remote Sensing (ASPRS) conference on UAS, Looking Ahead At Factors Influencing the Industry, (Sept. 29, 2015). Speaker, How to Legally Fly Unmanned Aircraft, Interdrone Conference (Sept. 10, 2015). Panelist, FAA Regulations: The Latest Outlook, Interdrone Conference (Sept. 9, 2015). Featured Commentator, The cheapest way to get a drone license is to take hot air balloon lessons, The Verge (August 27, 2015). Featured Guest, Wading Through the Section 333 Exemptions, Drone Radio Show (August 25, 2015). Speaker, Drone Law for Public Aircraft Operators, Florida Fire College (August 20, 2015). Featured Article, 5 Tips on Finding a Good Drone Attorney, Drone Analyst (August 11, 2015). Featured Article, 3 Problems with Amazon’s Drone Airspace Plan, Robotics Trends (August 10, 2015). Speaker, Drone Law, Santa Fe Drone Photography Workshop (July 20, 2015). Featured Author, Writing The Book On UAS Law, UAS MAGAZINE (June 25, 2015). Speaker, Robotics Artificial Intelligence and the Law Meetup Hosted by the Silicon Valley Law Group, (June 24, 2015),You can download the slides from here and you can listen to an mp3 of the talk here. Featured Commentator, Aviation attorney: UAS privacy issues present legal challenges, UAS MAGAZINE (June 18, 2015). 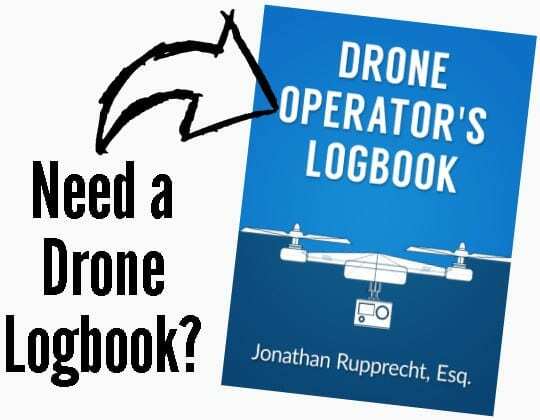 Featured Guest, Drone Lawyer Jonathan Rupprecht, UAV DIGEST (June 6, 2015). Featured Guest, Drone Laws & Section 333 questions with Jonathan Rupprecht, THAT DRONE SHOW (May 15, 2015). Speaker, How to Legally Fly an Unmanned Aircraft, AUVSI’s Unmanned Systems 2015 (May 4, 2015). Featured Guest, FLORIDA AVIATION NETWORK (April 24, 2015). Featured Commentator, Os drones conquistam o céu, GAZETA BRAZILIAN NEWS (April 16, 2015). Featured Commentator, Attorney questions organization’s UAS privacy lawsuit against FAA, UAS MAGAZINE (April 9, 2015). Speaker, Drone Law, AUVSI Precision Agriculture Conference (March 18, 2015). Speaker, Drone Law, International Drone Day-Team Miami at Boynton Beach Hacklab (March 14, 2015). Featured Guest on TV, CBS12 (March 14, 2015). Speaker, Drone Law, Florida Public Safety Academy (Feb. 23, 2015). Speaker, Discussion on Drone Law and Regulatory Updates, Drone Users Group of Washington D.C. (Feb. 19, 2015). Featured Guest, Drone Q&A for Florida Realtors, PALM BEACH POST (Feb. 16, 2015). Featured Commentator, Can’t hire enough waiters at your restaurant? Hire a drone, MARKETWATCH (Feb. 11, 2015). Featured Author, Book Review: Drones: Their Many Civilian Uses and the U.S. Laws Surrounding Them, DRONE GIRL (Feb. 9, 2015). Featured Guest, Drone Zone, GO CREATIVE SHOW (July 15, 2014).